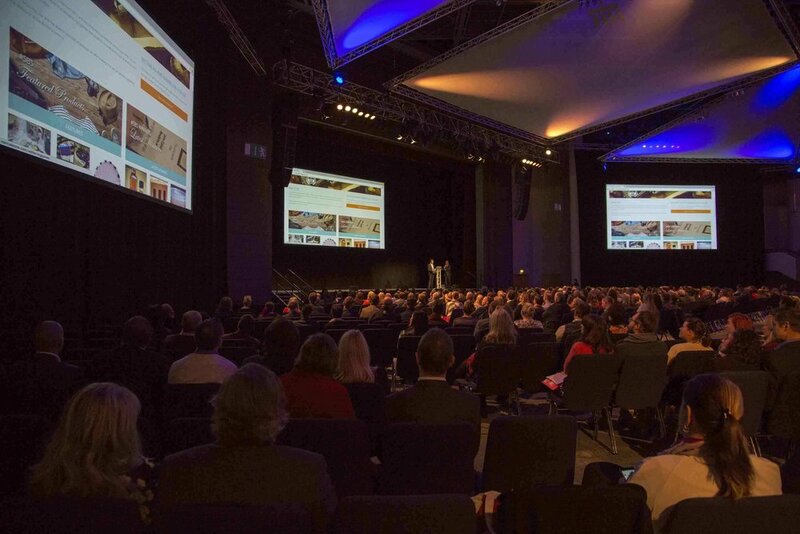 On the 12th February Theo hosted the annual #SBS event at the ICC in Birmingham. The event was a fantastic day and allowed all the #SBS winners to network and hear the latest plans for #SBS from Theo himself. After lunch Theo was joined on stage by Holly Tucker, from Not on the High Street, and Mike Pickles, the founder of the Really Useful Products brand. Theo, Mike and Holly made up a 'Question Time' panel and answered business related queries and questions from the 650+ strong audience. Finally before the day finished all of the new #SBS winners had the opportunity to receive their winners certificate from Theo and have their photo taken alongside Theo. A special thanks goes to the #SBS Sponsors, DHL, iLaw, Red Letter Days, 123 Reg, Robert Dyas and Ryman!